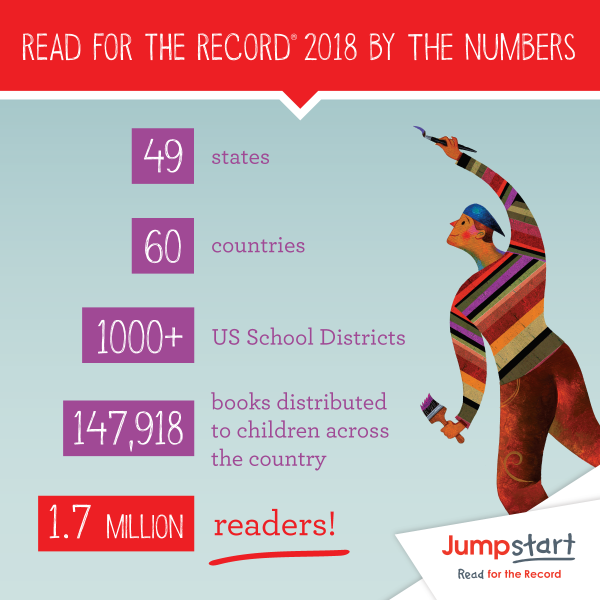 Read for the Record 2018 By the Numbers! The results for #ReadfortheRecord 2018 are in! 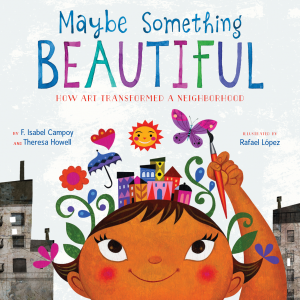 We are incredibly overwhelmed by the impact we made this year with so many school districts, families, and volunteers reading Maybe Something Beautiful together and creating beautiful murals just like in the story. Click here to see more of the celebrations across the country from Read for the Record day! This year we had 1,728,391 readers this year from 49 states and 60 countries! Thank you to everyone who read with us, and we can’t wait until next year!